The Sharks appear to have done something new at training this week – something that seems rather special indeed, at least to me. Four players were spotted wearing special jerseys at yesterday’s session. Similar to the way the leader of a cycling race wears a yellow jersey, these alternate training strips are handed out to players as a recognition of their exploits in the previous week’s match. 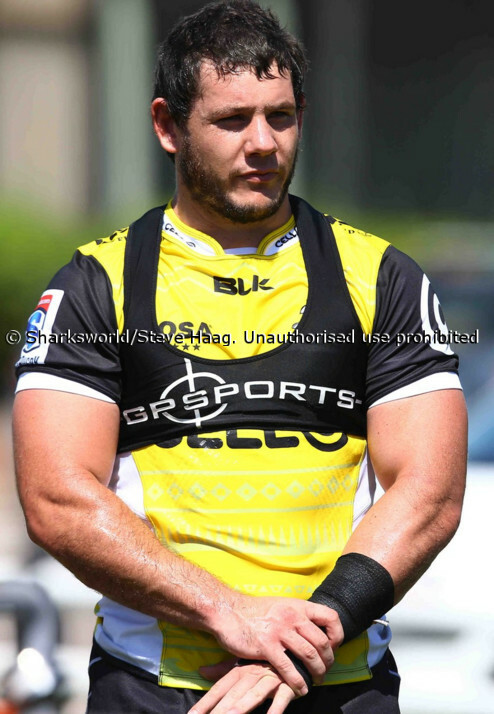 Marcell Coetzee, as the official man of the match against the Stormers, was handed the yellow jersey. 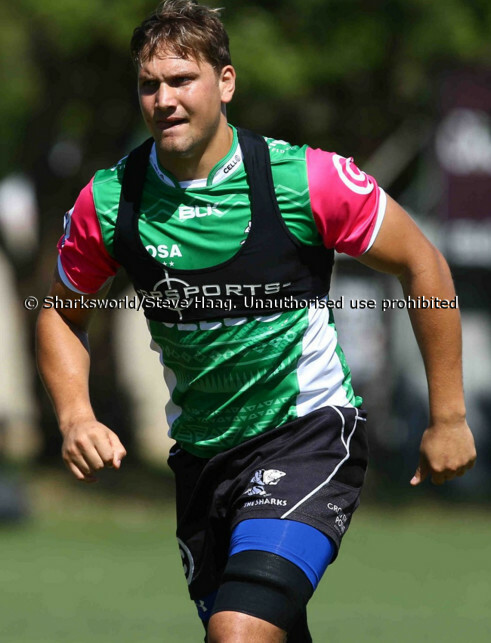 Andre Esterhuizen’s fancy pink number is in recognition of making the most tackles in the match. 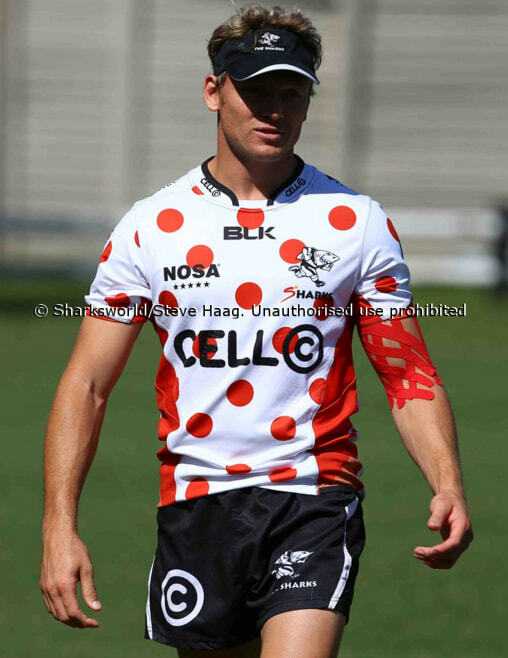 Last but not least (and certainly most striking) is the white and red polka dot number for the player with the best attitude on-field (essentially players’ player of the week) and that went to Joe Pietersen. Well done again to these guys and we look forward to seeing some other players pick up the jerseys next week. All images courtesy of (and copyright to) Steve Haag, so please do not share or use without his express permission). This is really really clever, I love it. talking about innovation – how did the big name entertainment go at KP when Jaguares played there? All those players had fantastic games in the exact areas they were awarded. Fantastic idea, Sharks. This team is coming together quite nicely! This is brilliant! Very good idea. This is so cool! Well done management. Love the idea! This is all part of creating a special environment among the players. Do they get to wear something special like the guys in the Varsity Cup? Love it! The GEES seems to be back at KP. Well done Sharks! @Haddock (Comment 7) : just not the pink shorts…. I think this could replace the player ratings – after all, these jerseys are being handed out by the coaching staff and they know whether the players preformed the way they were instructed to do. @FireTheLooser (Comment 11) : I’ll do my best, provided I’m able to find the info. @robdylan (Comment 12) : Nice, that will be great – but I understand that obtaining the info will not always be possible. nice innovation by the coaching staff!!!! Gives the players something to work towards!!!! Must say I do like the pink one. This is a great idea and having played cricket where we as a team hand out hats (as they do in the IPL) always brings that little bit extra from the guys. I’m sure the players enjoy the recognition too. @SheldonK (Comment 18) : At least they got the jacuzzi back, but how do you get into them? I’d love to watch the sharks with a beer in the jacuzzi. I missed the first guy and I’m no Jack Parow fan (being a proper English boy) so really didn’t love it but like the intent and I’m sure they’ll get it right. Granted the half time drop goal thing was fun, thought Sharkie should have challenged the Rhino to a drop goal contest. @SheldonK (Comment 20) : Half time show wasn’t too bad but I was in the Sybia superstand and the beer queues aren’t that long up there. With Jack Parow I couldn’t really make it out and sounded like noise but I usually think it sounds like noise anyway. So anyone got a connection who can get me Jacuzzi seats??? If you don’t ask you don’t get! There was a time not too long ago when that polka dot jersey could go to the ones it was invented for – the king of the mountaineers – Mark Andrews would have had a cupboard full of those. @Hulk (Comment 22) : @Fox (Comment 23) : @SheldonK (Comment 20) : I want a pink jersey, who must a tackle to get one?!?!? @SheldonK nope not that im aware of. But a cold branna and coke beats a hot beer (last quarter of the jug) anyday. @Hulk @JD what if I tackle whatever visiting mascot??? @SheldonK (Comment 30) : @Fox (Comment 31) : what if I tackle the Bulls mascot at Loftus? I really want a pink jersey!!! Very cool. Nice to see this initiative from the Sharks. @SheldonK (Comment 26) : Why in the hell did they not let the guys perform in front of the main stands? It took me a couple of minutes to locate where they were performing.